The unique structure of the 3D Hyaluronic Acid replenishes and retains skin hydration whilst, Yeast Compound tightens and regulates skin tone and soothes fatigue skin, giving it a glowing appearance, velvety and smooth complexion. Provides the perfect fit that conforms to your facial contours and neck. Formulated with a uniquely patented ingredient — Cosphingo ™, which ensures a long-lasting soothing and moisturizing; and also, it utilizes mystical black ingredients to help eliminate skin pigmentation, unevenness and loose skin caused by UV rays and environmental impurities, enhance skin elasticity, leaving your skin rejuvenated, deeply moisturized with dewy radiance! 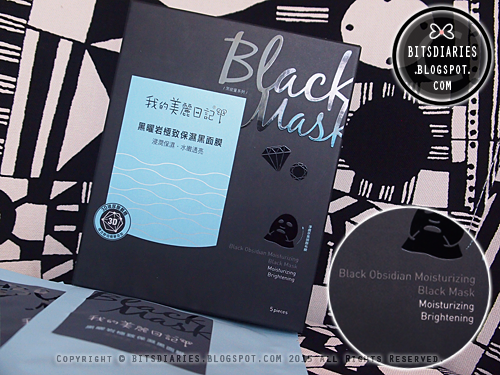 So recently, I was given an opportunity to try out their Black Obsidian Moisturizing Black Mask, which is the blue one from the range, and I'm super excited when it came in the mailbox. If you have been reading my blog (and I thank you for your support~), you should know, My Beauty Diary is my number one favorite sheet mask brand. With that said, I can't wait to try their new product! Black Obsidian Moisturizing Black Mask is rich in trace elements and minerals that restores healthy skin, which also helps support the skin's protective mechanism and enhances the skin's hydrating power. Formulated with numerous soothing ingredients including Calendula officinalis, Licorice and Ruscus aculeatus extracts to relieve dry, rough and irritated skin; and also packed with Bladderwrack seaweed, Aloe Vera and hydrolyzed Jojoba for an extra boost of hydration, leaving the skin to feel nourished, soft and refreshed. 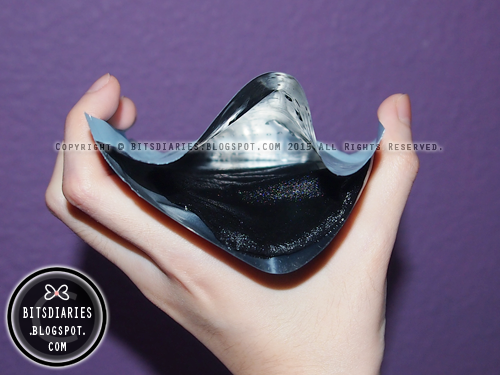 Usage/Directions: After toner, apply the mask for 15-20 minutes. Each box comes with 5 pieces of masks. And each mask is infused with sufficient amount of essential essence. 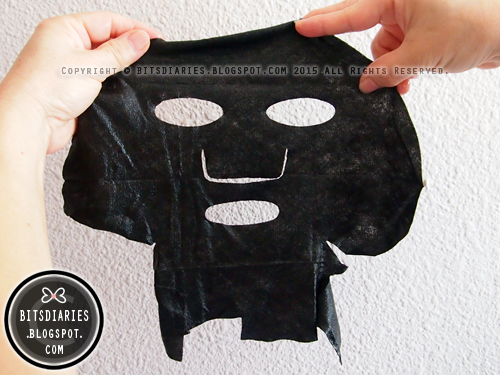 The mask has a pleasant scent and is not overpowering. The essence absorbed into my skin very quickly. It soothed and fed my skin with lots of nourishment, instantly leaving my skin feeling hydrated, soft and smooth to the touch while looking radiant without causing any irritation or breakout issues. I ♥ IT! Another benefit of this mask is that it covers up to the bottom jaw and upper neck area so it helps with firming as well. Comparing to the sheet mask from My Beauty Diary Natural Key range, the sheet mask from this Black Mask range is significantly thicker and with the conforming material, it really fit perfectly to the face contour so the essence can penetrate deeply to work its magic. Furthermore, it is gentle on the skin as it is made of high quality fine and smooth cotton fibres from Japan and is free of harmful paraben preservatives, alcohol, mineral oil, pigments and fluorescent agents. 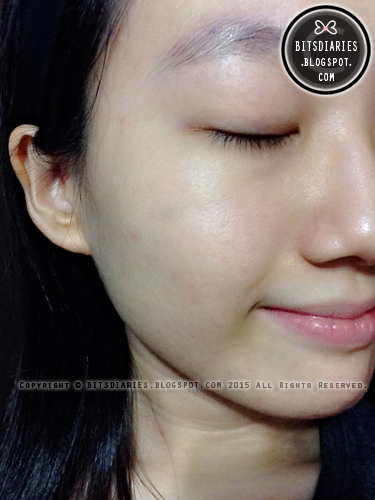 Hence, it is safe for use on all skin types including sensitive skin. The only downside of this mask is it will make you look like a robber/terrorist the moment you put it on your face. When it comes to beautiful skin, it's no secret that hydration is an essential step for your skin to reach enlightment. With My Beauty Diary's deluxe Black Mask, you can now quench your skin's thirst and achieve an illuminating, youthful, soft and supple skin. By the way, unlike their usual packaging, the NEW Black Mask range has a more presentable packaging. In my view, it is pretty enough to forgo gift wrapping when buying it as a gift. My Beauty Diary Black Masks range is available at the following authorized retailers: Guardian, SaSa, Watsons, www.NaturesMart.com.sg at SGD$16.90. 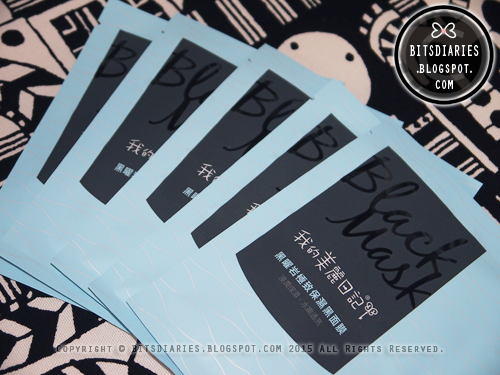 'LIKE' MyBeautyDiarySG on Facebook (www.facebook.com/MyBeautyDiarySg) to redeem one single-piece pack of Black Obsidian Moisturizing Black Mask (worth $3.95) for FREE in a ‘Group Redemption Deal’ (http://bit.ly/mbdblackmask). Valid only for the first 1,000 fans who participate in this group deal, the deal would only be unlocked once 1,000 entries are received.